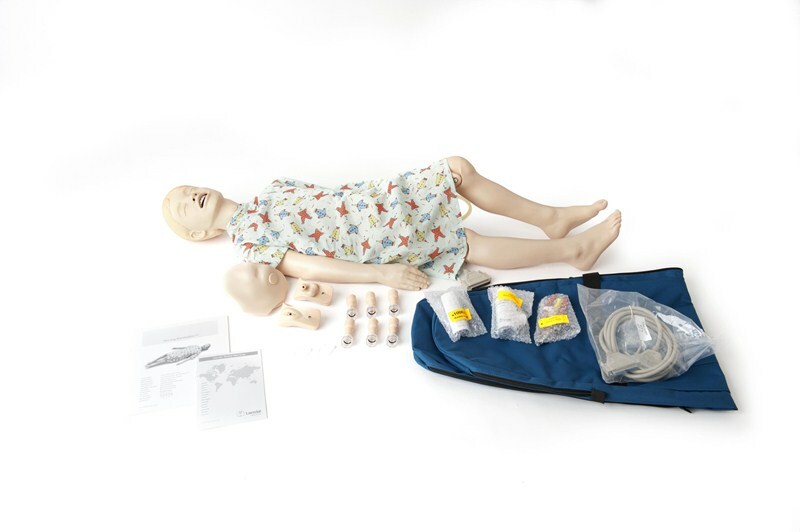 Nursing Kid is a training manikin realistically representing a six-year old child. He is designed for skill and scenario based training of the care and management of a variety of pediatric in-hospital patients. Training includes sound auscultation, IV cannulation, urinary catherization, and general pediatric patient care. This child is ideal for clinical training in core pediatric in-hospital clinical skills. VitalSim™ Unit is required for operation. Sold separately. See part # 200-10001.